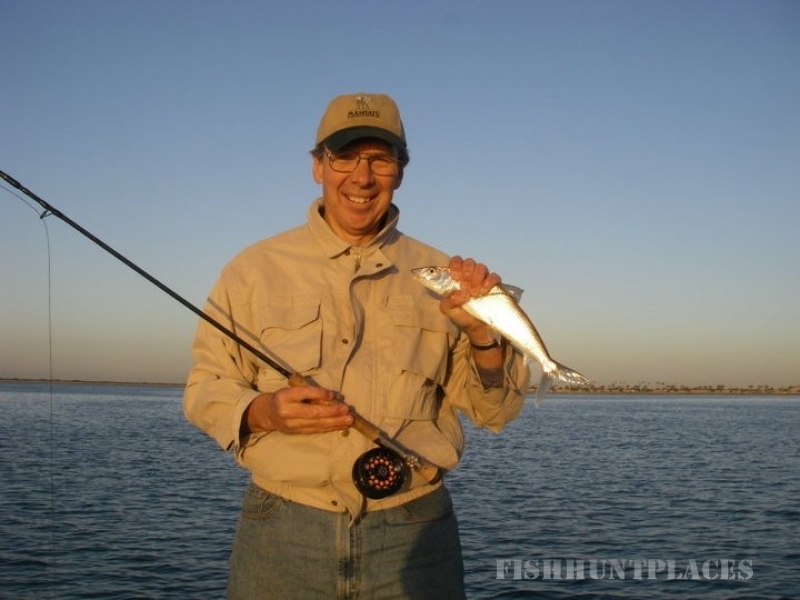 When fishing San Diego Bay, I like to fish in the more remote areas, south of the Coronado Bridge. 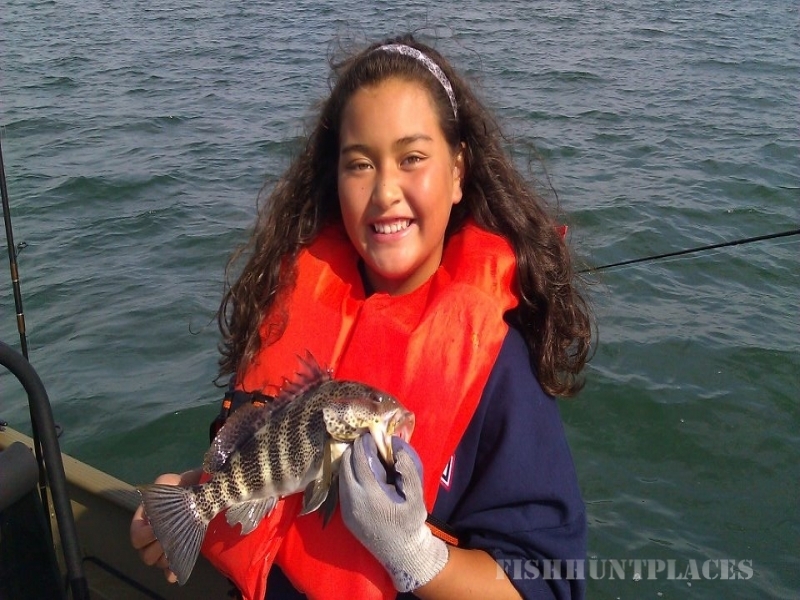 We generally launch from the Chula Vista Marina off I-5 at the J Street/Marina Way exit and arrive at the prime fishing area only 5-10 minutes from the Marina. When fly fishing the bay, I prefer to use a 6-weight fly rod with a 250-grain shooting head with a 6-pound test fluorocarbon leader. The water depths vary from 3 to 15 feet on the flats to 25 feet in the channels, depending on the tide. In water less than five feet deep, a floating line with a 6-8 foot leader can work well. Water less than 10 feet without much grass on the bottom can be fished very successfully with an intermediate line and 6-8 foot leader as well. The shooting head is always the number one option. The fly of choice is the Clouser Minnow and its many variations in hook sizes 2, 4 and 6. My favorite colors are olive/white, orange/white, tan/orange, olive/black, black, chartreuse/white and many more. Surf style flies work well, also. Light tackle fishing is done with light spinning or bait casting gear, using 6-8 pound test line. Small lead heads combined with Berkley Gulp Shrimp or curly tails work well. The Little George lure, fished slowly, can be a great set-up. Fishing in the bay, as in other areas, is affected by the tides and water movement. 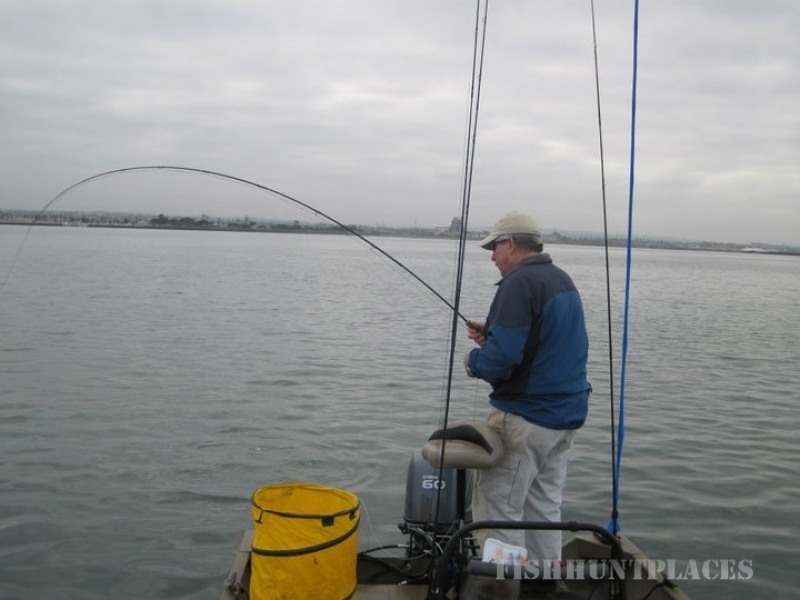 I try to fish with a 3.5 to 4′ tidal exchange with incoming slightly better than outgoing tide. 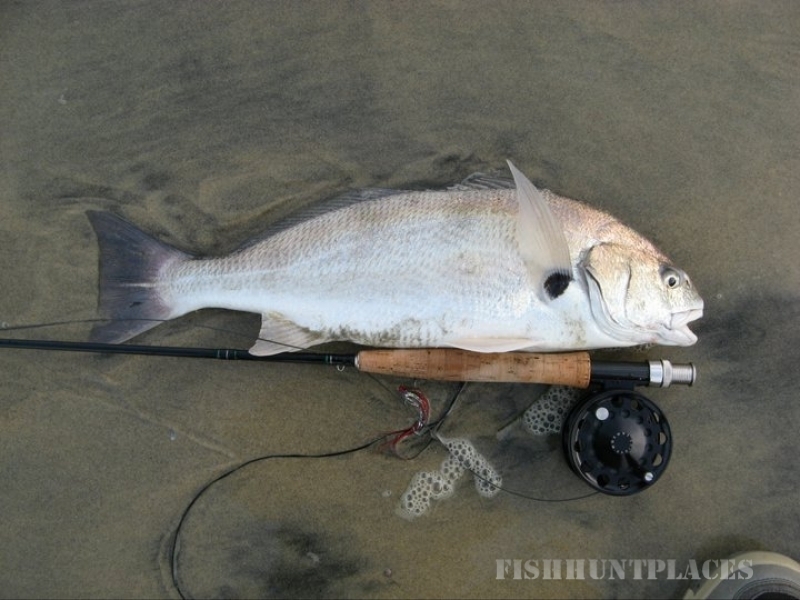 However, many fish have and can be caught on smaller tides.